With dog theft on the rise, it's more important than ever to take precautions and know what to do if the worst happens. Mandy Appleyard reports. 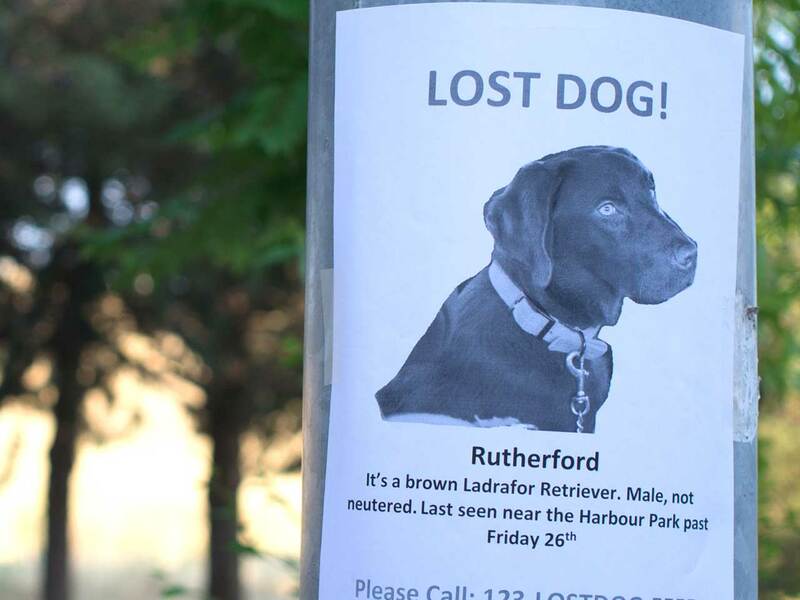 It’s every dog owner’s worst nightmare – finding out that their beloved pet has gone missing. What can make this ordeal even worse is discovering that a dog has been stolen by professional thieves. Sadly this heartrending crime is very much on the increase, leaving thousands of dog owners bereft as a much-loved family member is snatched from under their noses. Figures show that dog theft is growing by about 15 per cent every year, and is fast replacing metal theft as the opportunistic crime of choice. Stolen dogs are sometimes held for ransom while others are sold on, often several times, at around £100 per sale. A few dogs may be lucky enough to end up in a decent home, but many will be dumped. Owners report dogs stolen from kennels and outhouses, while others are taken as they are being walked, or in specifically-targeted burglaries. Working dogs such as Labradors are the most popular targets, though the biggest rise has been in the theft of cocker spaniels. Some animals are stolen to order by organised gangs while others are sold, often over the internet, to buyers in other parts of Britain. Many are stolen for breeding, leaving dog owners and their families traumatised by loss and fearful for the uncertain fate of their pet. There are some happy endings, as actress Sheridan Smith discovered after her Shar Pei, Enid, was stolen from her home in north London. Enid was returned following public appeals. The cookery writer Annabel Karmel paid a £750 ransom after her Samoyed was stolen from a van belonging to her dog walker, along with 10 other animals. Annabel’s dog was returned to her 10 days later after a woman rang her to demand a ransom. But for thousands more people, the outcome is not a happy one. Dog Lost, a non-profit organisation aiming to reunite owners with missing pets, received reports of more than 12,000 missing dogs in 2014, of which 4,000 are believed to have been stolen. Pets are stolen from kennels in back gardens, and even snatched from the hands of people out walking them. In one incident, a five-year-old male Springer Spaniel worth £500 was stolen by burglars who had clearly been keeping a house under surveillance. Thankfully the dog was re-united with its owner several months later, when it was taken to a vet who discovered its microchip. Have your dog micro-chipped. This won’t stop it from being stolen, but it will increase your chances of getting your pet back. Keep a close eye on your dog: don’t even leave it out in the garden alone or unattended. Make sure gates and fencing are safe and secure. Some thieves use their own dogs to lure other dogs out of a garden and into a waiting vehicle. Contact the police immediately and make sure the crime is logged by them as dog theft and not just a lost dog. Ask for a crime reference number. Doglost.co.uk is a national community of thousands of dog owners and volunteers helping to reunite lost dogs with their owners. Their helpline is 0844 800 3220, and they can advise on what to do to maximise your chances of finding your dog. Report the theft to your Local Authority’s Dog Warden service. If your dog is micro-chipped, report it to one of the five databases which are: Petlog, Anibase, PETtrac, PetProtect and SmartChip. Inform your vet and as many local practices as you can. Check with neighbours, postal workers, shops, post offices, and other businesses. Hand out flyers/posters – someone may have seen something. Approach local media – newspapers, radio stations and television could help to publicise your missing dog. Keep safe receipts, micro-chip documents, photographs and anything that proves your dog belongs to you. Register your dog with as many missing pet websites as possible, including Animal Search UK, UK National Missing Pet Register and Lost Dogs UK.